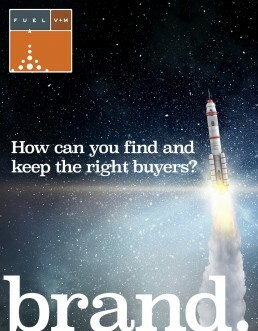 Be it via brand strategy, traditional design work or innovative communications projects, FUEL VM has been focused on one goal: helping our clients connect better with THEIR buyer. FUEL VM’s entire portfolio of solutions has worked locally or internationally with start ups and some of the largest brands in the world. Regardless of the scope of the ask, there is always the need to influence a human being to get the results our clients require. Who do you need to motivate in order for your organization to be more successful today? Often we are described as either a creative company with a technical backbone or vice versa. Essentially: we speak fluently in zeroes and ones as well. High-end Web development, digital marketing, custom application development, custom user interface design … we have successfully checked all those boxes. What separates our projects from the pack is our intimate understanding of communications and human interaction. Functionality is key, but we have taken the desire to empathize with our target users to a whole new level. Who do you need to engage (better) today with your digital and Web strategies? Demographics, data mining, lead generation, consumer spending, target audience data, base maps, traffic counts. FUEL VM can provide the consumer insights you need to increase your sales footprint or identify qualified leads in B-to-B or B-to-C environments. If knowledge is power, consider FUEL VM your light switch. What data insights could help your business today? Think big with FUEL VM. Need help identifying & activating your ideal target? Let’s talk over a cup of coffee or the phone, but get started today.